With over 100 miles of bike trails on Hilton Head Island there are numerous places to view native and migrating wildlife. 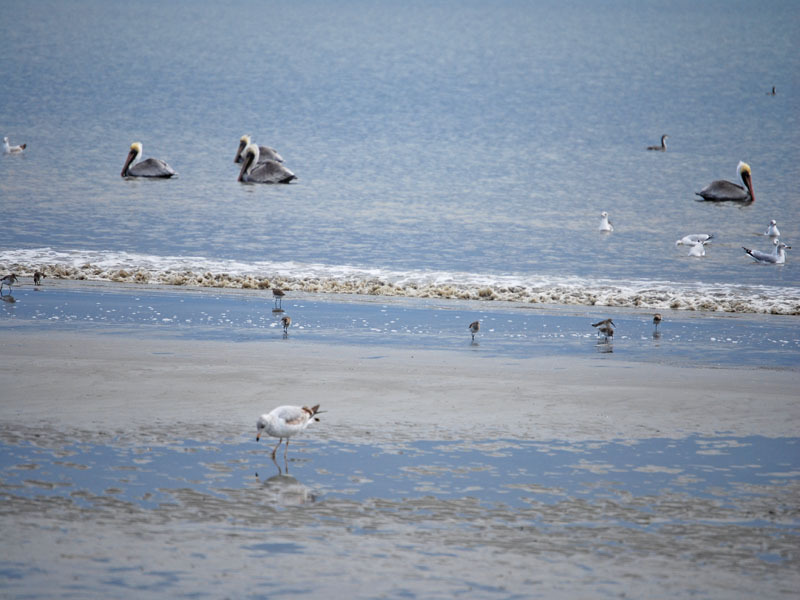 Any pathway that takes you close to marsh areas, such as Shelter Cove, the end of Beach City Road, Point Comfort, behind the new Shelter Cove Town Center, will offer the opportunity to view a wide variety of marsh birds, and sometimes otter. Deer are also abundant on the island, as well as alligators. Both species can be viewed in all of the gated communities, which have multiple lagoons. Dolphin are also common all around the island and can often be seen off the beach in all areas, in Broad Creek (access viewing points in Palmetto Bay Marina area), and all along Calibogue Sound if you are staying in Sea Pines Plantation. And, there is Pinckney Island National Wildlife Area, which is located west of Hilton Head Island off of Route 278. You will probably want to take your bikes there on a vehicle as it is a long ride from most locations on Hilton Head. There are a lot of bird species to be seen with a wide variety of habitat, as well as armadillos, deer, raccoons, rabbits, and fox. Dirt pathways crisscross the island. Bring water and snacks or lunch. A great day trip is to take your bikes on the ferry to Daufauski Island where you can see a totally different island environment. The embarkation point is located to the right before Palmetto Bay Marina.